Morning, you guys :) How did your Friday go? Mine was fun filled! Started off at 6 something, getting kids ready for school. Well, listening to kids get ready for school. I need to start just getting up, but I always feel SO lazy in the mornings. Jake left for the bus at 7am, and I got up around then. The kids were excited to see him before they left for school! Got the kids out the door at 7:35am, and put on a show for Jim and Rowan. And I got ready for my walk. Kari was gonna come with her stroller, and push Rowan, and I was gonna push Jim. We left for our walk at 8:15am. and it as pretty nice outside. I still put the little boys in jackets, because although I was warming up, they were just passengers... Check out what we found in the sports fields by Cassidy gate! And we let the little boys out of the stroller to look at the fountain. Aren't they cute! We had an hour walk, and it was very nice. We only had to detour slightly because of sprinklers. hehe. But it was all good. We headed home, Kari dropped off Rowan at my house, and she headed home. And I swear, it wasn't 3 minutes after we got home, that the smoke alarms started going off again. Sigh. I'd given Jake new batteries yesterday to put n the smoke detectors, and they were still beeping. On and off. Well, this time, it wasn't off. After I pushed buttons, and did all I could think to do, I finally resorted to calling housing. And she could hear them going off, and said she'd send someone RIGHT over. So, to distract myself, I decided to cook the Angel Food cake. In my cute new muffin bundt pans. Cause that would be fun, right? Yeah, not so much. I KNOW it's not supposed to look like this. Is there a trick to Angel Food Cake? I didn't spray the pans like it said to, and it stuck. HORRIBLY. SIgh. The downstairs hall battery was low, so he replaced that one too. And checked my room and Jake's room. They were good. THANK GOODNESS! Now maybe we'll get some sleep at night/morning. hehe. Rowan and Jim and I loaded up in the car, and drove on over to the bus stop. And Jim got on the bus, and Rowan and I headed back to the house. It seems a waste to drive the 3 blocks to the bus stop, but we now have to walk on a MAIN road, and I don't like taking the little kids there... Makes me nervous. Around 1125, Terra came and picked up Rowan and I, and we headed out to Howdy's and El Taco Tote. Score! First stop, Howdys! I totally wore my sunglasses OVER my regular glasses, sicne I couldn't put in my contacts today. Next stop, El Taco Tote! I waited in the car with the 3 kids, and Terra headed on into the restaurant. And Andrea called me the SECOND that Terra shut the door. How cool is that! We chatted for a bit, then Terra was done, and we headed back to post. Terra passed out some chips to the kids to keep them quiet, and I got one too! SCORE! I brought hot dogs. Amanda brought fruit, and a pie. Terra brought El Taco Tote. Great picnic. But I think the kids were WAY too excited playing to eat. hehe. This one is MY twin. She likes me best. And liked to try on my glasses, too! Ha! Rowan and I headed back home around 2:15pm. And Terra had gotten our order of Scentsy! Woohoo! Don't you just love my new warmer? Isn't it pretty! It's Boy Scout, like. Cool, huh? We headed back home, and Jim and Rowan watched some Scooby Doo. Then Jake got home, and yeah, Scooby Doo was quickly changed to Kim Possible. And then Tom, Eme, Joe, Phyrson, and Katyia came home. So I had 7 kids in my house. Dang, TONS of kids! I threw on my apron, and started baking some pound cake. Cause I had strawberries and whipped cream, but NO angel food cake. And pound cake is perfect with strawberries and whipped cream too! These turned out infinitely better! I even shared with a neighbor kid! At 5:15pm, Rowans dad came to gather the kids. And I got Tom all prepped on what to do for babysitting, and dinner, and stuff, and Jake headed over to the neighbors house for a sleepover. Or whatever the "man equivalent" to that is. What do boys call it at 13? Anyway, yeah, there totally wasn't time for a shower. Or make up. But there was time for Jeans. So I put on a tad bit better clothes (emphasis on the tad), and left for Movie night! I was pretty excited. I drove all the way over to the North East side, singing my heart out. It's some of my favorite times of the day, my singing time in the car, you know! I wrote Captain America and email while I waited for the girls to show up, then decided to go wait outside the restaurant. And finally, Paige and Lynette got there. And yeah, the wait was an hour long. And we didn't have that kind of time. So we drove over to Casita Linda, that same Mexican restaurant that we'd gone to on the Girls Night we saw "I Am Number Four". Lynette, Paige, Brenda and I were the 4 that came to dinner. And it really was a good time. When we went to pay our bill, it was funny, because we were joking about sneaking sopipas into the theater, and the waiter dude was like, yeah, I'm gonna bag some up for you! And he did! And I just remembered, they're still in my purse - ROFL! We met Kristie (who now lives at Ft Hood - she was in town for a bridal shower, or was it baby shower...), and Krystal, and Krystal's neighbor there. And I had Paige take my picture next to this GINORMOUS beach ball. Isn't it cool! We went and saw Insidious. OMGosh, it was a good scary movie. We were all on the fronts of our seats, jumping and screaming. OK, so some screamed more than others. I was in the group laughing at those who were screaming. It was pretty funny to watch, let me tell you. At lot of time, PG-13 scary movies are dumb. But this one was actually pretty good, and truly scary! We chatted in the parking lot for a while after the movie, then all headed home. And they all joked about me going home alone, with no one to protect me. Whatever! I'm tough. And scary movies (knock on wood) don't affect me. And I'm not tempting fate (ok, fate...). Thank you so much for this post. 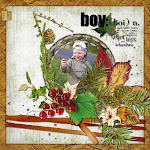 I want to let you know that I posted a link to your blog in CBH Digital Scrapbooking Freebies, under the Page 11 post on Apr. 02, 2011. Thanks again. Looks like a great day! The soda cup comparison was funny. Thanks for word art. 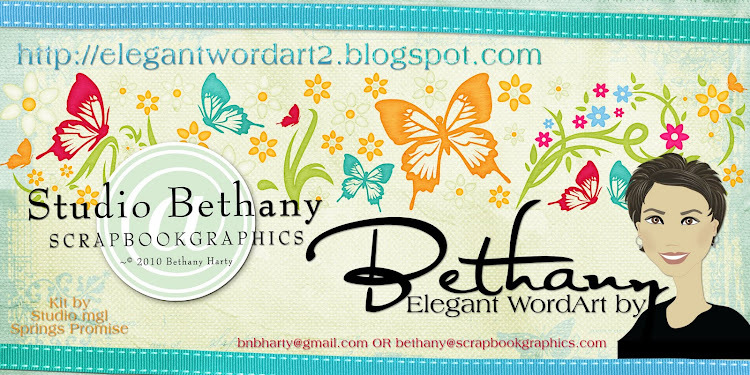 The scrap page is great!